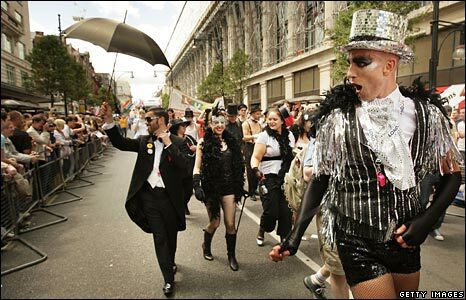 Costumed revellers and colourful floats wended through London's streets on Saturday to celebrate Pride, the UK's largest lesbian, gay, bisexual, and transgender festival. 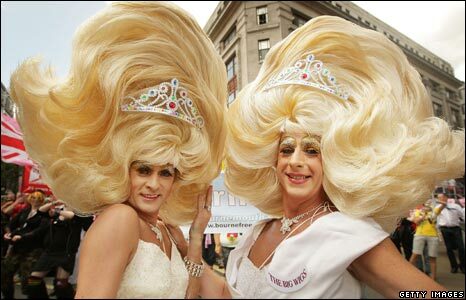 The theme was fairy tales, myths and legends. 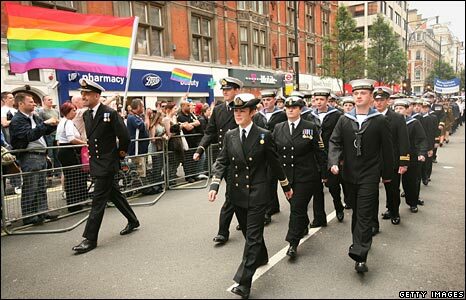 London Mayor Boris Johnson led the parade - he has in the past been accused of making anti-gay remarks. 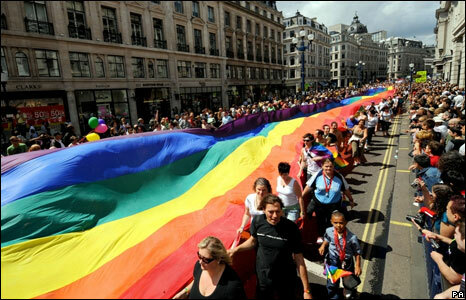 A large rainbow flag was carried by the crowd as they paraded along Regent Street. 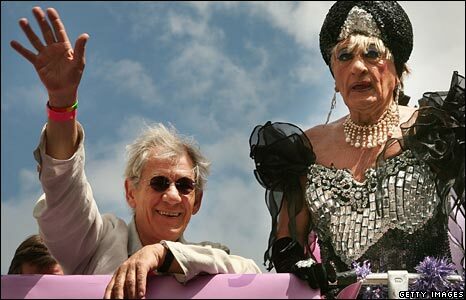 Among the celebrities to turn out for the event was Sir Ian McKellen, left, of Lord of the Rings fame. 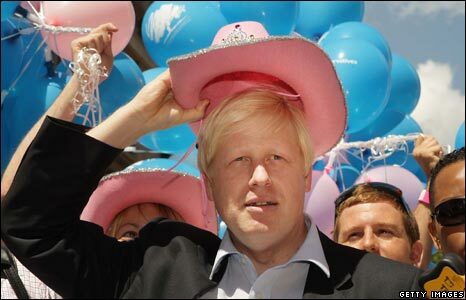 He has also played Widow Twanky in pantomime season. ... while others, such as this Muslim participant, had a more serious message of acceptance. ... to more whimsical takes on sailor chic. 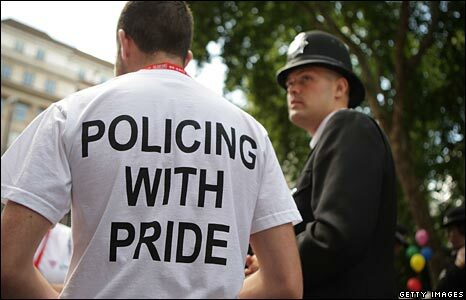 Off-duty gay and lesbian police officers joined the march, marshalled by uniformed colleagues. Numbers were forecast to reach 500,000, organisers said. 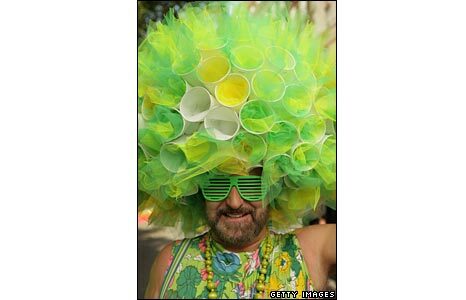 Although the sun shone for much of the day, an outfit accessorised with an umbrella was always going to be a smart move.